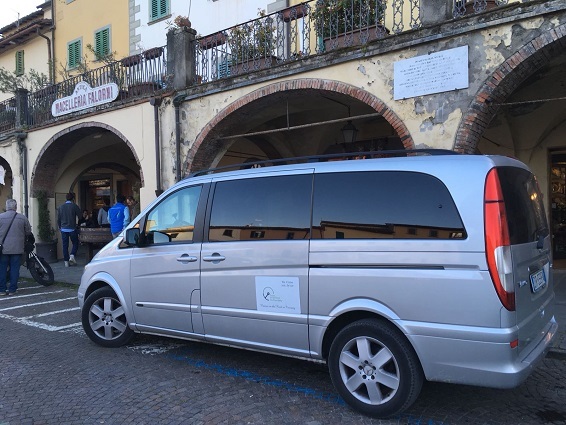 A full immersion in the Chianti region, visiting small and suggestive villages and wineries with 3 different tastings of one of the finest wine in Tuscany! All of this, driving in full comfort and safety through beautiful landscapes! We will pick you up at the dock at your time of landing (suggested starting time at 08.00am)! Our English-speaking Driverguide will be ready in front of your ship, waiting for you and holding a sign with your name on it. 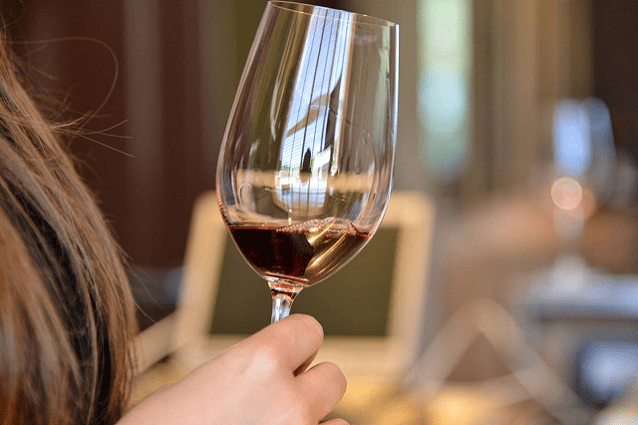 We will spend the entire day discovering the Chianti region for an unforgettable wine experience! 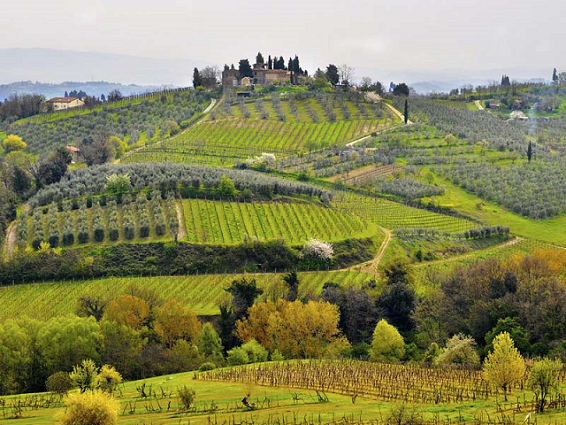 First, we will drive to Panzano in Chianti, where we will visit a small organic farm in the heart of the Chianti region. 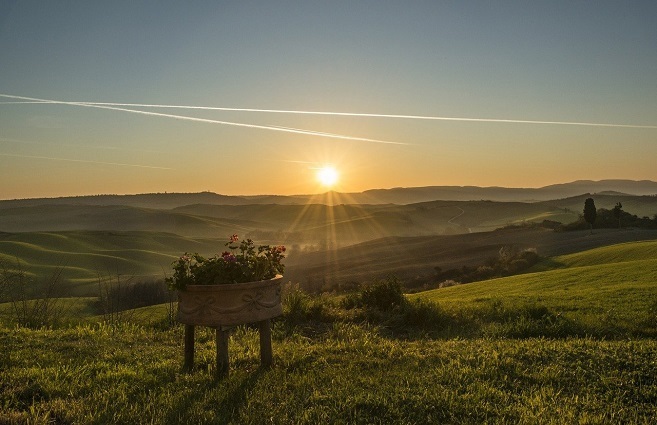 We will visit the vineyards and the cellars ending with a tasting of 4/5 organic wines produced in the farm accompanied by Tuscan bread with extra vergin olive oil and a mix of Tuscan cold cuts. Then, still in Panzano you will have lunch à la carte in a restaurant with great local food. After lunch, we will move to Greve in Chianti, that is considered the “capital” of the Chianti Classico. The area around this small and characteristic village, is where the Chianti Classico Gallo Nero is produced. Greve is also the hometown of Giovanni Verrazzano, the explorer of New York Bay. We will visit the famous Piazza Matteotti, called the Mercatale, with its unique triangular shape, the shops, the restaurants and the ancient butcher’s shop Falorni (since 1806). 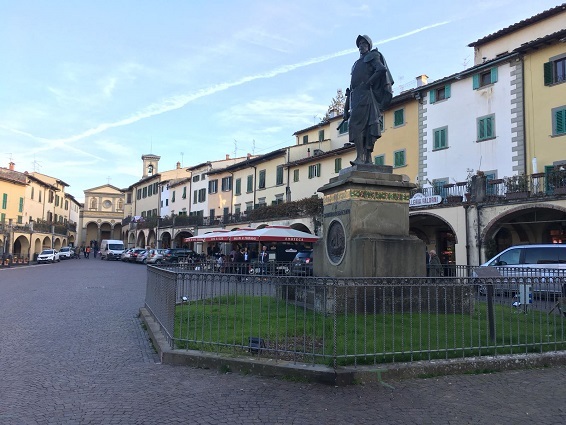 The Mercatale is in the heart of the town and is surrounded by many colorful houses with bright colours, at its centre we find the statue of G. Verrazzano. Then, we will continue our tour with the last magical wine experience of the day. We will drive to a charming winery located in San Donato in Poggio, the heart of the Chianti Classico area, where we will have an exclusive guided tour around the estate, in its vineyards and in the wine-cellar, to understand the complexity of the methods involved in obtaining a high-quality wine, from the wine-growing to the final product. At the end of the tour, a tasting of a selection of excellent and fine wines combined with some local products famous for its simplicity, genuine and traditional ingredients and delicious flavors.